Quinoa is a South American grain that is nutritionally a super food. 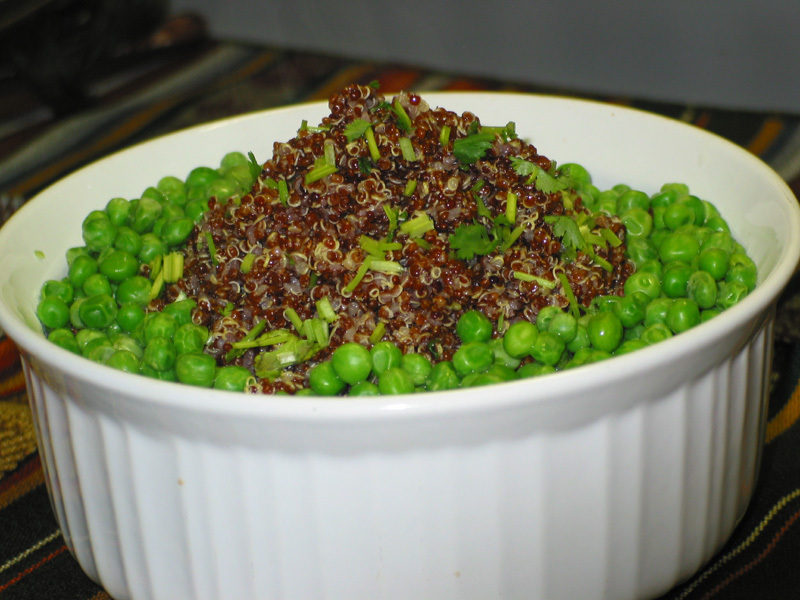 It is high in protein and fiber and is a great alternative to rice or couscous. This grain also works well in soups and stews! Rinse Quinoa in cold water in a strainer. Once Salt water has come to a boil, put in the Quinoa and stir. Boil Quinoa until the grain opens and the center of the grain is translucent (about 15-17 minutes). Drain Quinoa thoroughly and return it to the same pot. Drizzle olive oil on the Quinoa and toss with a fork. Add salt, garlic salt and cilantro. Toss again. Put lid on the pot and allow Quinoa to stand on low heat for 5 minutes. Serve as a side dish with any meal!